You might call it old-school hacking—the kind of hacking you do with an axe. 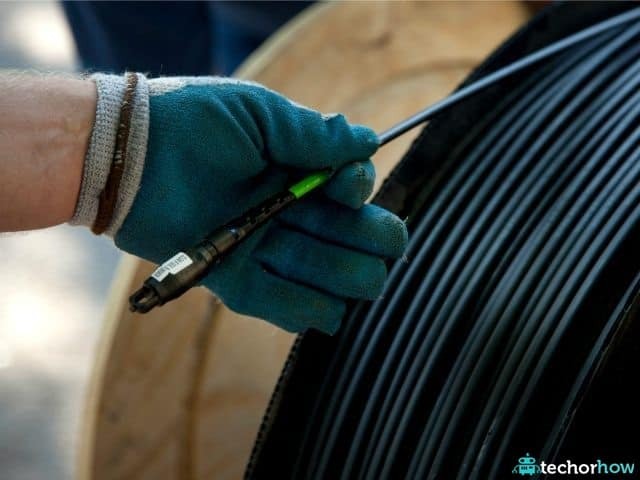 California police are dealing with a rash of attacks on Internet fiber optic cables. An incident Monday night brought the total number of attacks to 15 since last summer. The vandals seem to be targeting AT&T cables, prompting the company to offer a $250,000 reward for information leading to their arrest. As USA Today explains, “AT&T’s fiber optic network is legally considered a critical piece of the nation’s Internet infrastructure, and any attackers are subject to both state and federal prosecution,” so the FBI has long since gotten involved. The Wall Street Journal noted that when another cable was cut in the Livermore area in June, Internet service was disrupted as far north as Seattle. Microsoft reported a slowdown in cloud computing services across the western United States. Telephone and television services were disrupted around Sacramento. During that incident, repair workers complained that the heavy presence of law-enforcement personnel investigating the incident made it hard for them to fix the problem. The FBI reasonably pointed out that it is difficult for them to investigate the crime scenes, if repair workers immediately correct the damage. Tuesday’s cut follow 10 others over the past year in cities in the Bay Area, including Fremont, Walnut Creek, Alamo, Berkeley, and San Jose, the FBI said in a statement this week. The first five attacks occurred on July 6 and 7 of 2014, all in the late-evening or early-morning hours. The next seven months were quiet, then the cutter (or cutters) struck again in February of this year, twice in one night. Then came three more cuts in June. It has also been noted that a similar cable cut occurred in northern Arizona, but it is not clear if this incident was related to the California vandalism spree. Indeed, it is not clear if all of the California cuts were the work of the same individual or group. It is a remarkably long and expensive crime spree—several reports have mentioned the difficulty of estimating how much repairs are costing providers, or how much service interruptions are costing customers—but virtually nothing is known about the perpetrators. It is something of a mixed blessing that the cuts usually come in the wee hours of the night, when Internet usage is low, but repair costs are high. This also reduces the chances that an eyewitness will catch a glimpse of the vandals. It has been theorized that they dress as utility workers to avoid suspicion. They might be random miscreants, former employees with a grudge against Internet companies, or this could all be the warm-up for a more serious act of vandalism or terrorism. One possible explanation for the strange pattern of cuts could be the attackers measuring the level of disruption they caused and response times for both repair crews and law enforcement, in various locations and circumstances. The FBI normally has a keen ear for Internet chatter, of the sort that thrill-seekers might be expected to generate, when bragging about the damage they caused. A more focused and determined operation would avoid giving themselves away like that.